Classic Cars, Racing, Sport Cars, Muscle Cars, Sport Compact, Exotics, Hot Rods, Antique & Custom Cars. Performance, Engine Cleanliness, Interior, Paint Job, Bodywork etc. 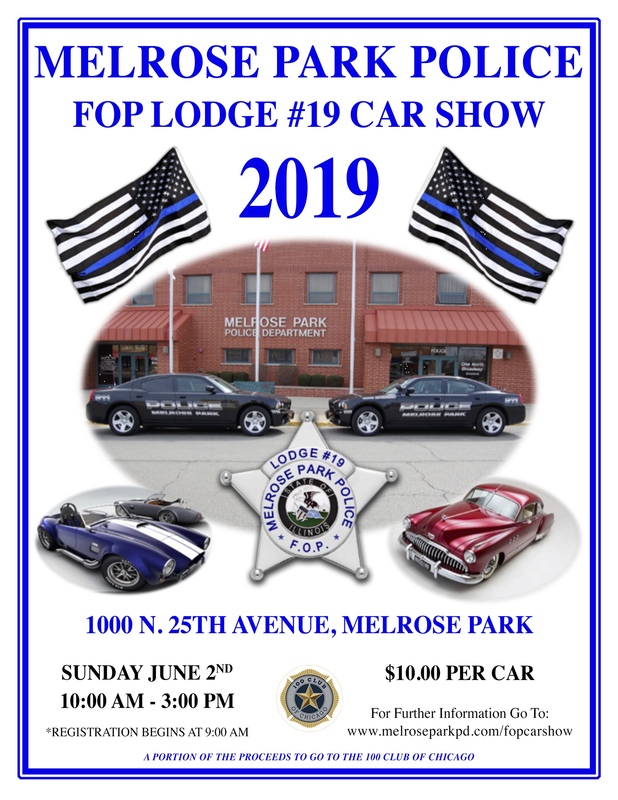 Please come mingle with Law Enforcement personnel from the Melrose Park Police Department on Sunday (day) June 2, 2019 for our 1st annual Melrose Park Police F.O.P. Car Show, at the Melrose Park Civic center (1000 N. 25th Avenue) from 10:00am to 3:00pm. Car registration begins at 8:30am with a $10.00 entry fee. Everyone is welcome to come and enjoy the extreme looking cars, delicious food and music (DJ). All funds raised through the event will go to the F.O.P. and be disbursed to groups that they support throughout the year, including the 100 club of Chicago.